Community Engagement and Critical Consciousness: a workshop with local activist and Hampshire alum Evelin Aquino. This workshop helps students navigate tensions that arise when theory in the classroom meets practice in a variety of contexts including community organizing and youth work in formal and non-formal learning contexts. We will discuss why we do community engagement and why having an anti-oppression lens is important: touching on issues of power and privilege, reflection, navigating courageous conversations, and building reciprocity. Thursday October 30th, 6:30-8:30pm in FPH room 104. Free dinner from El Comalito! Sponsored by Community Partnerships for Social Change and Critical Studies of Childhood, Youth, and Learning Program. 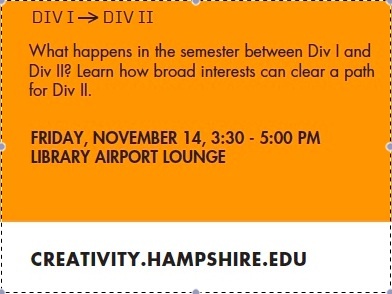 Join the Creativity Center staff for a workshop on making the transition from Div I to Div II. 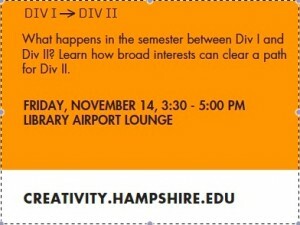 Friday November 14th from 3:30 – 5:00 p.m. in the Airport Lounge. 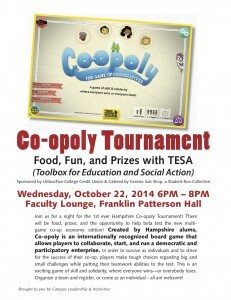 First Ever Hampshire College Co-opoly Tournament – Come play Co-opoly: A game of skill and collaboration created by Hampshire alums. Help beta test the new version, share food, and win prizes too!!! 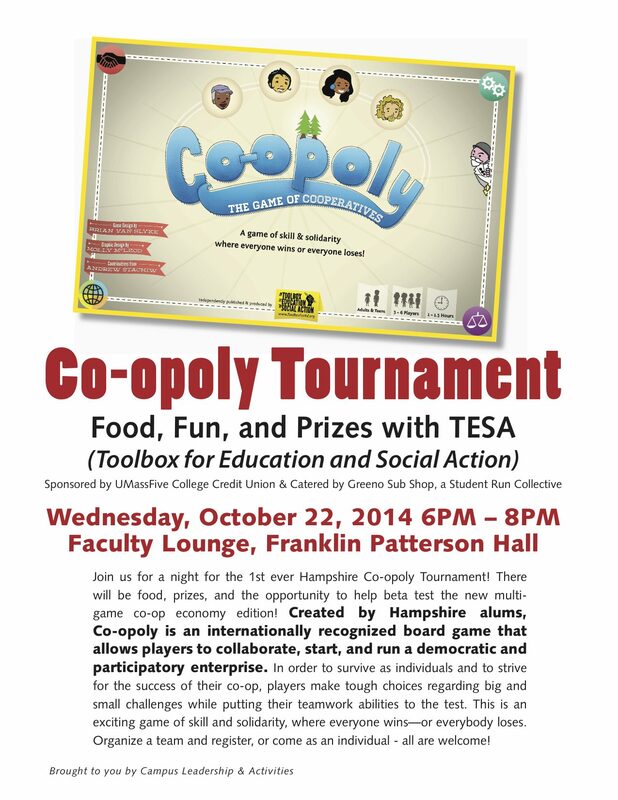 Wednesday October 22, 2014 6-8 p.m. FPH Lounge.